In our home, we use our microwave a few times per day. Will prolonged exposure to microwave energy cause long-term health problems? When I heat food in my microwave, the food comes out with tough spots and cold spots. Why is that? When it hit stores half a century ago, the microwave oven dramatically changed meal preparation by reducing heating times considerably. Today, it's a staple part of most kitchens. Routine care will keep your microwave oven operating well for many years. Despite its small size compared to other home appliances, the microwave oven can store thousands of volts of electricity in its high voltage capacitor, even after the microwave oven has been unplugged. That's more than 30 wall outlets combined. Replacing electronic parts in a microwave oven can be extremely dangerous. This should be left to a repair professional. However, the cost to purchase a new microwave is often comparable to the cost of replacement parts so a new unit is most often the best solution. 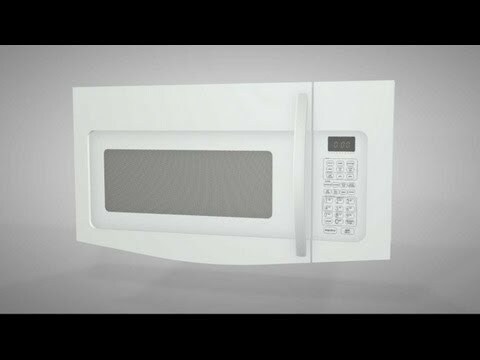 Non-electronic microwave parts like door latches, glass trays and their associated parts are inexpensive and easy to replace. If you're in the market for a new microwave, we recommend a stainless steel interior. It's easier for cleaning purposes. We recommend this stainless steel cleaner and microfiber cloth to clean the interior. Take care not to slam the door. Latch mechanisms on microwave ovens generally have three switches that must close in a particular order. Slamming the door may alter the order of the switches' closing, resulting in a blown, internal fuse. Only place dishware that's stamped as microwave-safe into a microwave oven. Many glass products are not microwave safe. Never put in dishware with metal parts or gold or silver plating. Never put in aluminum foil, even in small amounts If the dishware you are using to heat your food gets exceptionally hot, or hotter than the food you are trying to heat up, it is absorbing the microwave energy and is not microwave safe. You can solve many common problems with microwave ovens with touch-up paint and by replacing turntables, light bulbs, charcoal filters and more. With your microwave's model number, head to our repair help information. Heating water in a microwave oven is not advised due to risk of a condition called "superheating." This condition can cause water to be much hotter than boiling but not appear to be boiling. As soon as the cup or glass is touched the water can suddenly and violently burst, causing burns to anyone nearby. It is better to heat water on a stove-top kettle. There are some test kits available at home improvement stores. However, if you have concerns about leakage, it's best to contact a repair professional for an inspection. Microwave energy penetrates foods more deeply than during conventional heating. The water molecules inside of the food heats as quickly as those on the outside. When heated, water expands so skinned or shelled foods explode to accommodate the increasing size of the water molecules. To avoid overheating these types of foods, use your microwave's preset cooking feature for more precise cooking times, or reduce the power level during cooking. Because the microwave energy is beamed into the interior of the microwave and then dispersed by a metallic "stirrer," or by a rotating carousel, the pattern of the energy is usually consistent. However, certain portions of the food may overcook (creating tough spots) and others will undercook. A microwave oven with a carousel is far better at cooking the food consistently. It also helps to use the microwave's preset cooking feature.